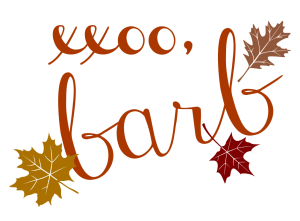 You’ve certainly seen me blogging, Facebooking and Instragraming about the new house enough – moving week has finally arrived for us! I’ve asked a few friends to help me out over the next couple of weeks as we get settled in a bit so that it won’t be crickets over here. 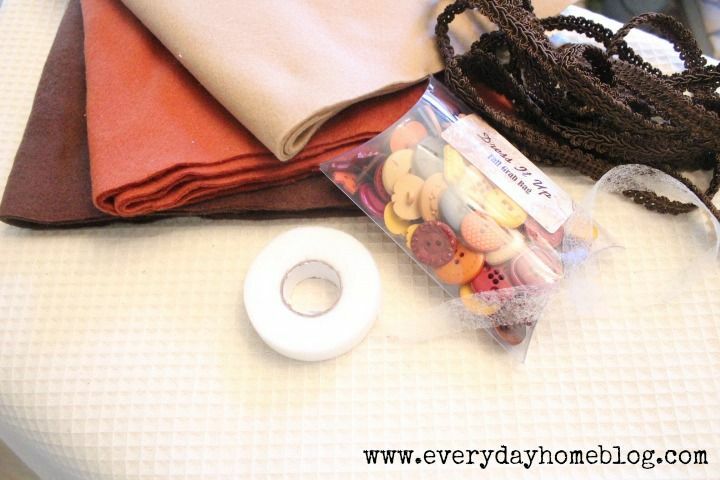 Today, Barb from The Everyday Home is sharing an easy fall project. 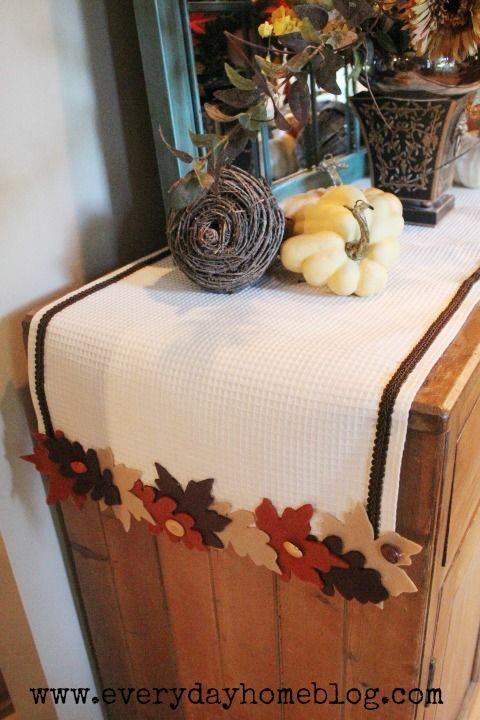 side table or a dining table, too! But, don’t let companies like Singer and Brother know. 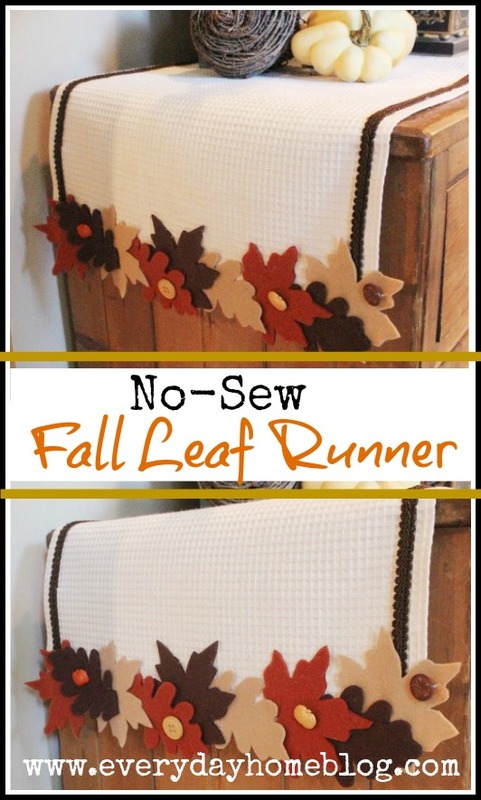 Ok…let’s get started on the No-Sew Fall Leaf Runner. of the items on hand already. 1) Decide how wide and how long you want your runner to be. 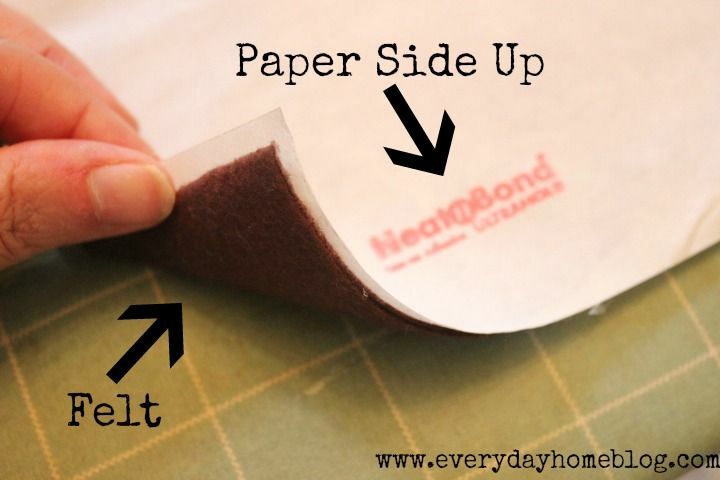 Cut fabric accordingly, allowing an extra 1″ on each side. 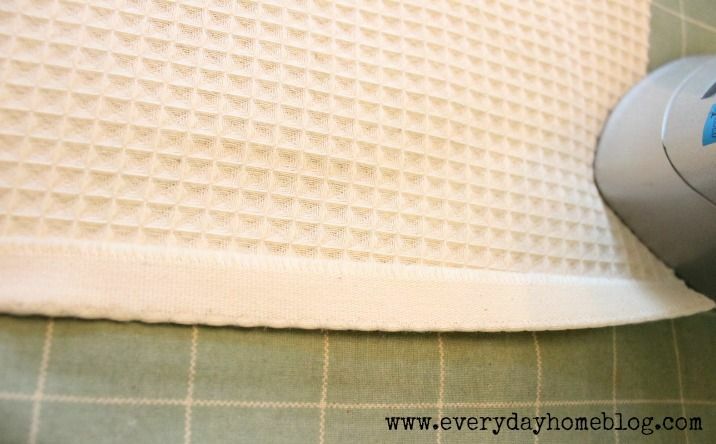 2) Turn fabric under 1/2″, and iron flat. Turn fabric another 1/2″. Place Stitch Witchery between turned layers. they will be covered with the felt leaves. 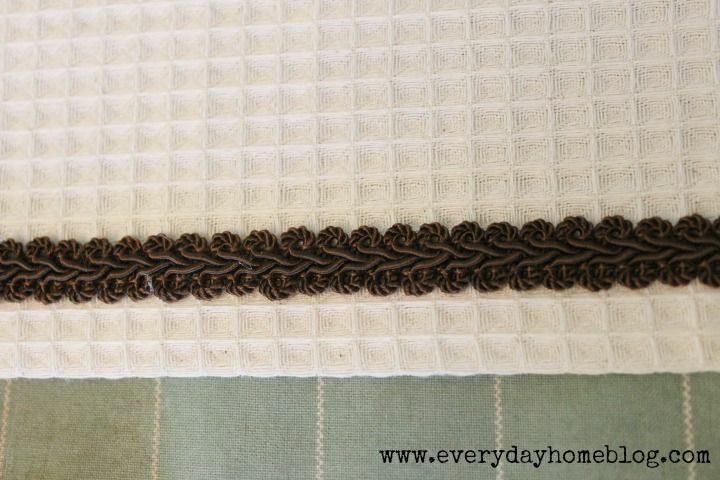 4) Next, apply the decorative trim to each long side with a glue gun. 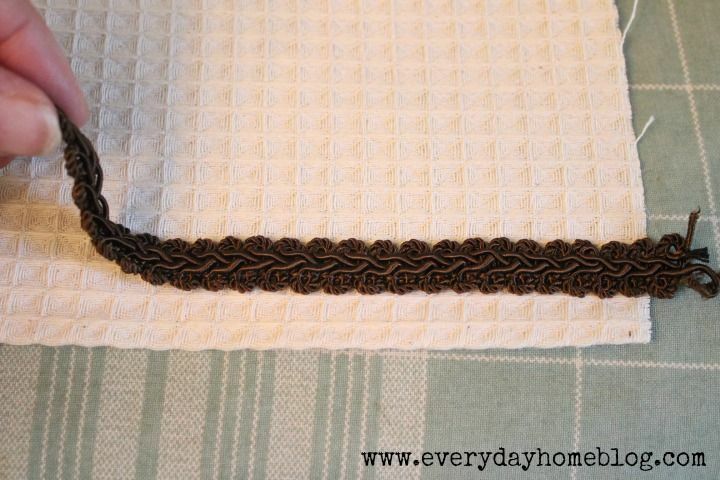 allow me to create a straight line with the trim. 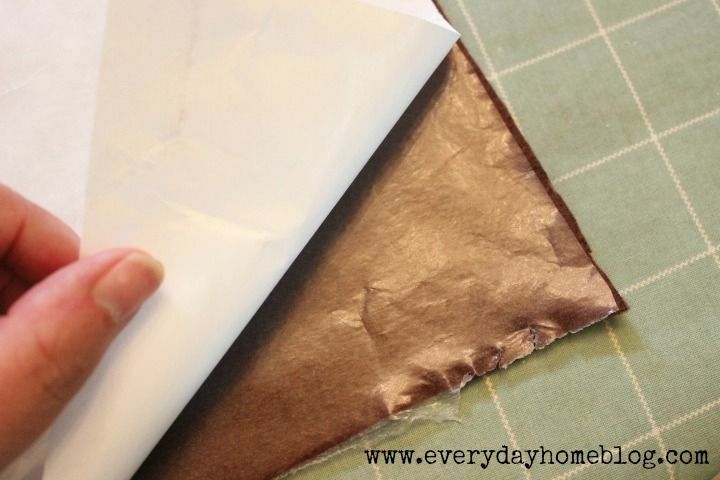 applying the trim if working with another type of fabric. 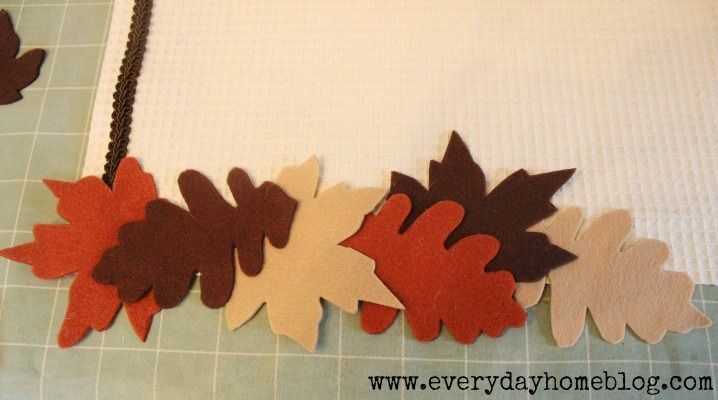 5) Now you need to prepare your squares of felt to cut your leaves. body, but you can stick this step. until the Heat ‘n Bond adheres. 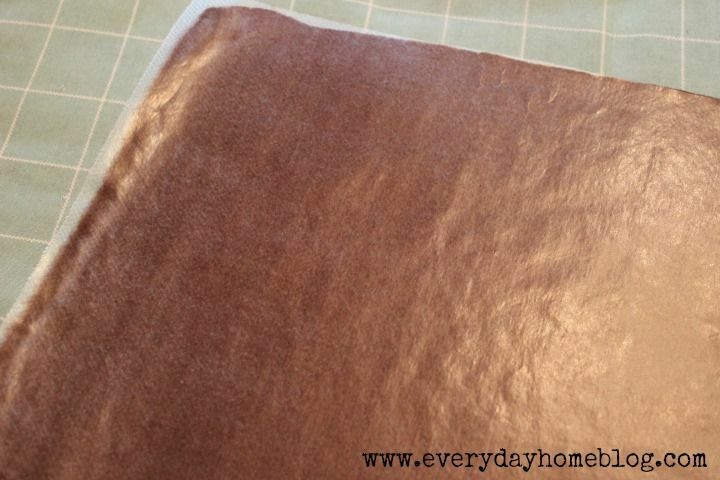 Your felt back will look like this once the paper backing is peeled away. which creates some body to an otherwise “floppy” fabric. I would have extra to play with during the placement. sticks out beyond the edge of the fabric. This is why the backing is important. the backs of the leaves to adhere them to the runner. 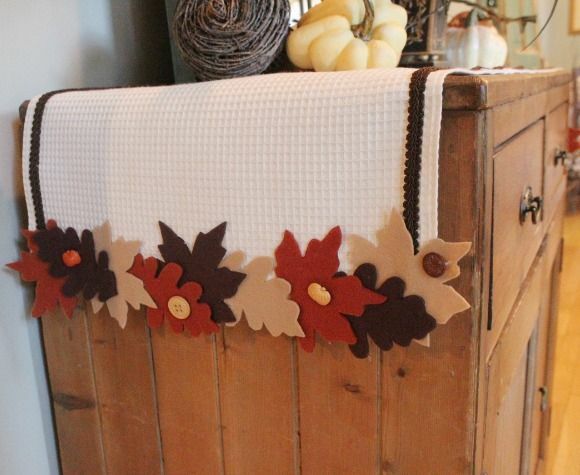 I added a few buttons randomly along the leaf border. Honestly, you could whip one of these up in about an hour. The timeliest part is cutting out the leaves. 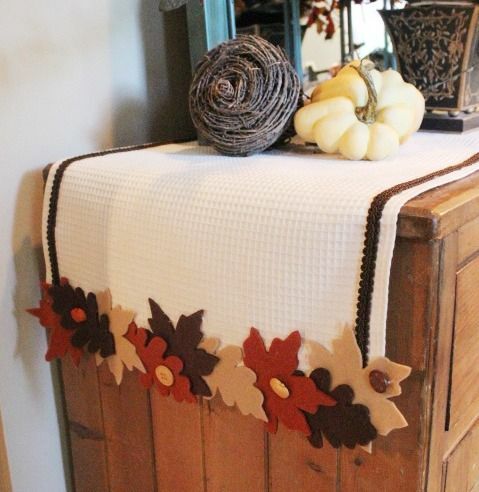 Barb’s home is just lovely and this is just one example of the many projects, tutorials and recipes that you’ll find at The Everyday Home. Thank you so much for sharing with us today, my friend!